Not sure if this happens to everyone, but thinking I am not unique out there! There comes a time when I find the strangest things in the bottom of my freezer, like today, rainy day, perusing through the kitchen, checking the freezer and out came some frozen shrimp, a small piece of salmon and some frozen chicken drumettes. 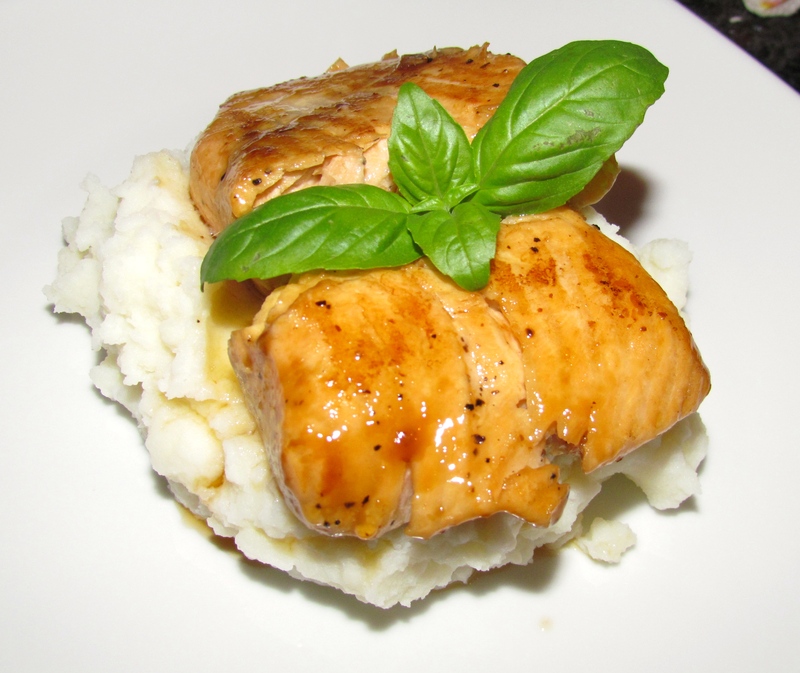 Luckily the hubby had stated that he would love some Salmon with Mashed Potatoes, so that is what he is getting….. 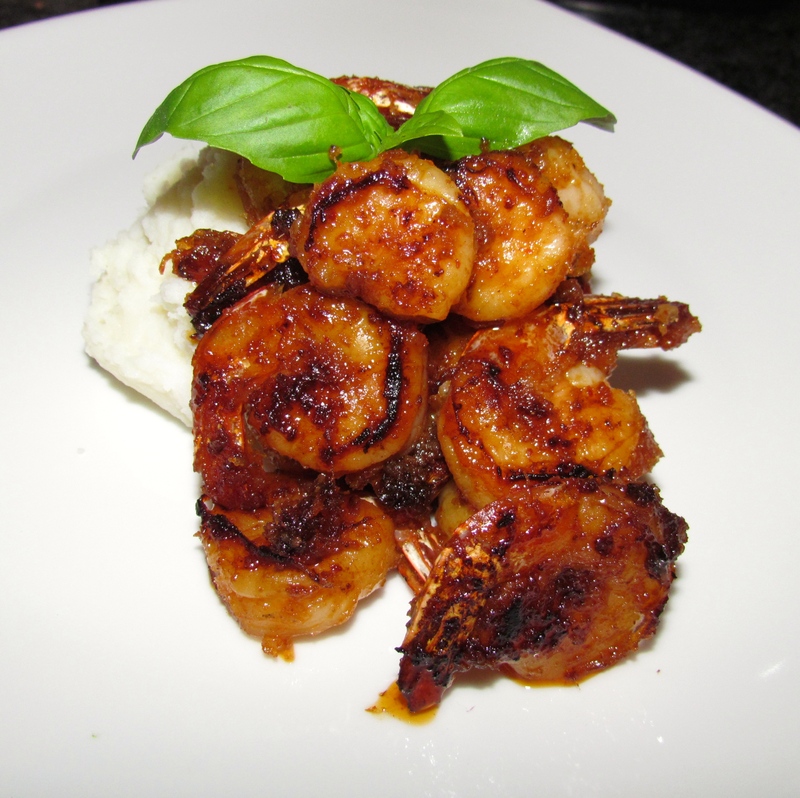 The shrimp was marinated in a Massaman curry paste and grated Coconut and although they were meant for me, I ended up having to share with the hubby! 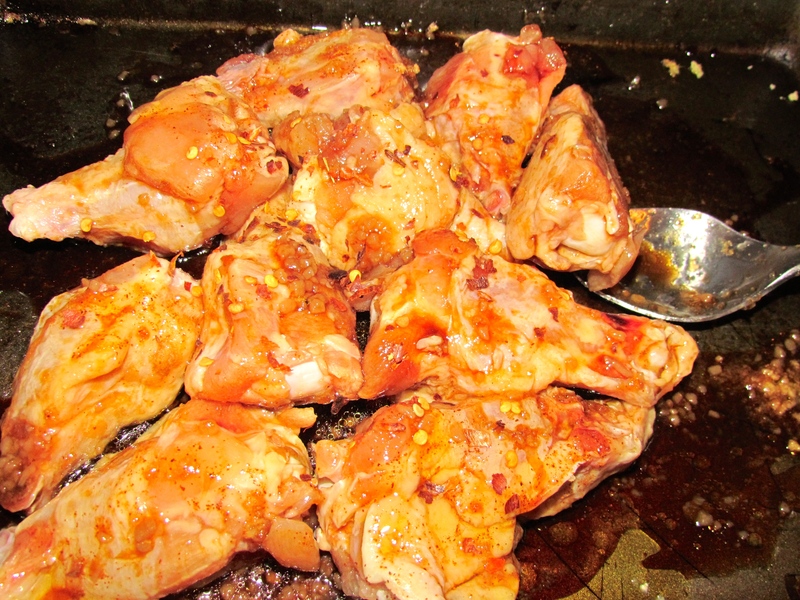 The Chicken Drumettes are in the oven baking slowly in a Ginger, Garlic, Soy Sauce, Honey, Paprika and Red Pepper flakes sauce.